JPY is acting weaker against USD due to the Household Spending report in Japan. The support rests at 111.820 with resistance at 113.420 which the weekly pivot point at 112.440 is located in between the lines. The EMA of 10 is moving horizontally but it is located above the EMA of 200 and the EMA of 100. The RSI is moving on 50 level, the Stochastic is showing downward momentum and the MACD indicator is falling down towards the neutral zone. The ADX is not showing any clear signals. 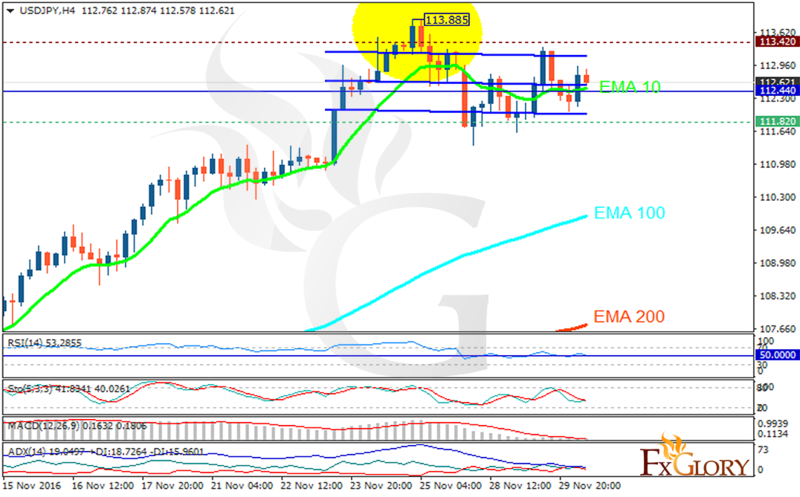 The bullish scenario is more probable therefore long positions are recommended targeting 114 area.